ASSOCIATION FOR HUMAN RIGHTS IN CENTRAL ASIA — WHO ARE WE? Association for Human Rights in Central Asia (AHRCA) is an independent human rights organisation. The initiators of creation of AHRCA are citizens of the Central Asian states persecuted for political reasons. We all live outside the countries in which we were born and grew up. We defend fundamental human rights and freedoms, based on the principles of the Universal Declaration of Human Rights, using national and international measures of protection of human rights. The official website of the Association for Human Rights in Central Asia can be accessed at «AHRCA.ORG». All public documents and news about the activities of our organisation in Russian, English and French are available on our website. Our members live in different countries; each creates a network of activists and participates in projects of our organisation. 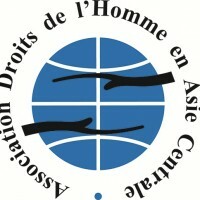 Association for Human Rights in Central Asia was registered under the number 0723012215 in Le Mans, France, on 8 November 2006 and included in the official register of NGOs of France under N°1458 as of 2 December 2006. AHRCA is an abbreviation of the full name of our organisation. The logotype of our organisation is registered in French, English and Russian languages. The AHRCA defends human rights in Central Asia. A more detailed information about the areas of activity is provided in the «Human rights platform» section. Anyone, who would like to join our work, can do so by becoming a member or a volunteer of the AHRCA (for more information, please refer to “Terms for volunteers”, «Code of Ethics» and «Frequently asked questions» sections). The first days after the Andijan tragedy in 2005 were marked with numerous collective appeals of civil society representatives to the EU institutions, the UN and the US State Department to help the victims of the tragedy and exert political pressure on official Tashkent. After all, the Uzbek government did not even declare mourning for the dead. In the first days after the tragedy, representatives of civil society created an online condolence book where the names of the victims were entered. After a while, the author of the blog page, where the Book was placed, announced that he had to close it because the security services in Uzbekistan started threatening his relatives. Information about the fact that the Uzbek authorities are deliberately destroying evidence of civilians' death was regular. Freedom of movement within the country was restricted and Andijan became a closed city. A number of arrests occurred of human rights defenders and journalists supporting the demand of the European Union for an international investigation of the Andijan events with the participation of independent experts. Eyewitnesses of the bloodshed began to disappear. It became apparent that the assistance of political emigrants in circulating the information about human rights violations in Uzbekistan, the way the media works, about the functioning of the institutions of civil society is essential. Then we decided to create a human rights organisation to act on its behalf. Diplomats, representatives of the European Commission, MEPs in the first days after the Andijan tragedy, promptly responded. We felt a sincere compassion. This feeling is not forgotten, and it supports us even now. Over the next few months, the EU engaged in talks with the Uzbek authorities about the international investigation with the participation of independent experts. In response to the refusal of the Uzbek government, the EU imposed sanctions. The stance of the United Europe assured us that the democratic world could influence the oppressive regime of Karimov. Three years later, the European Union lifted most of the sanctions, leaving only the arms embargo against Uzbekistan in place. It was stated that the lifting the sanctions and enhancing human rights dialogue would lead to positive changes in this area. However, in practice the dialogue had been purely formal. Following Karimov, the Kazakh President Nursultan Nazarbayev started to believe in his impunity. Instead of a dialogue with the workers striking in Zhanaozen he used firearms against them. Emomali Rahmon of Tajikistan actively removes his opponents, using illegal methods. Turkmen authorities are absolutely intolerant of any dissent. Ethnic conflict in southern Kyrgyzstan led to a reformation of the government institutions and the repression against human rights defenders and journalists. In this situation, the solidarity and broad support of the international democratic community is very important. One cannot seriously expect compliance with and protection of human rights and freedoms in any country, if the neighbouring states are ruled by repressive regimes. Therefore, we established our identity as a regional organisation and we strive to interact with colleagues from all Central Asian countries. Please write to us about the human rights violations you might know about. This is important for everyone. The dictatorship regimes hold on fear and lies. By defending our rights, we are confronting these regimes and are legally advocating the concept of society where observance of constitutional principles by all branches of government is the norm.